A cute place for events, workshops and even Sunday brunches opened up earlier this year, and it’s housed out of an old converted bungalow, the Little House. 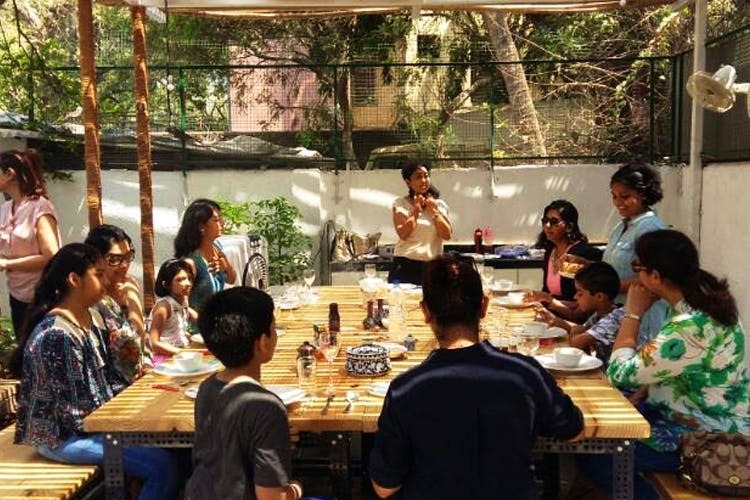 The Little House is on Yari Road in Versova and has been started off by sisters, Priyanka and Ananya Desai. Priyanka comes from a production background and had always been involved in organising events, and her sister, Ananya runs a healthy food brand. After years of event management, they decided to set up their own place. The Little House, Priyanka tells us is an old bungalow converted into an experimental space for gigs, events, workshops and anything. People can either rent out the space, or get in touch with them to organise it for them. There’s never enough venue spaces in a city like Mumbai with such a growing cultural scene. In the past, events like pop-ups with home chefs, beer and barbeque day, and even workshops have happened. They also have a regular feature called Sunday Breakfast from 9am to noon wherein food is cooked and served, along with drinks. Regional home chefs with cuisines that aren’t that popular in the Mumbai food circle get a chance to cook here, and feed people. Priyanka tells us the idea is to let space be open for collaborations, parties, photo shoots or events such as book launches. They will soon be starting aerial yoga workshops June onwards, and even rock climbing activities, basically it’s an open place for anything and everything. If you’d like to organise something here you can rent out space, or directly get in touch with them to have space for an entire day. And the best thing is, they are pet-friendly so get your furry pooches and felines along wit you. One more space has been added to venues in Mumbai for organising exciting and interesting things. To get in touch with them, follow them on Facebook here.